I have been working on many behind the scenes and secret sewing projects lately! One of those is this quilt. 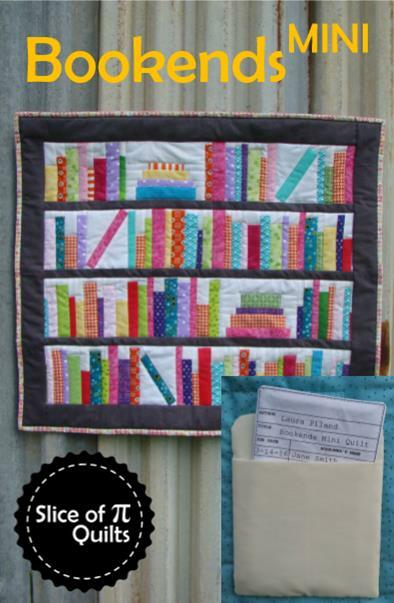 I'm calling it the Bookends Mini Quilt. It is my 19th quilt finish for the year! I first made this quilt exactly a year ago for a librarian friend (well, one like it - this is the second one of this design). After posting pictures of it on Instagram, I got many requests for the pattern. I initially shrugged it off. 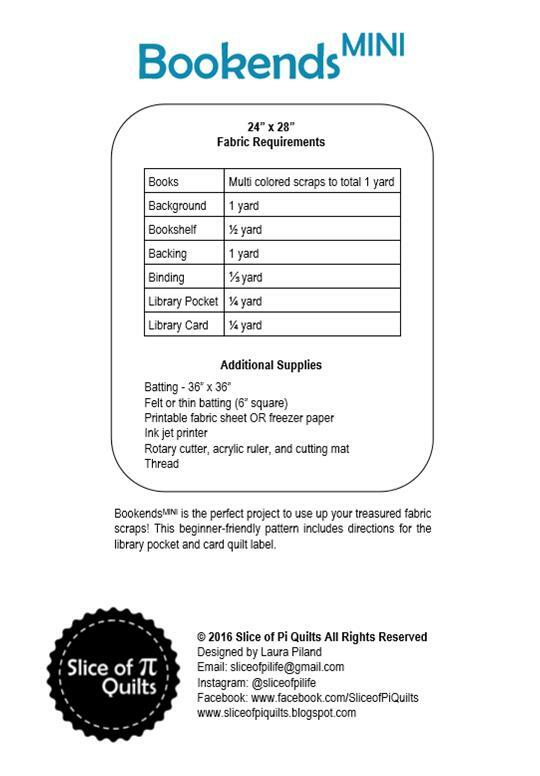 I knew there were already several bookshelf quilt patterns available. However, as time went on, I realized that there wasn't anything exactly like it. I decided to begin writing it up as an actual quilt pattern. One thing led to another, and now the pattern is available both for digital download and as a paper pattern! I used brightly colored fabric scraps from my stash for the books. The backing fabric is a Riley Blake print from the Peak Hour fabric line. The selvage says it's from 2012. I bought it a year or so ago from an online quilt shop for around a dollar a yard (along with quite a few other fabrics!). I quilted by stitching in the ditch around each book. My favorite thing about this quilt is the label! 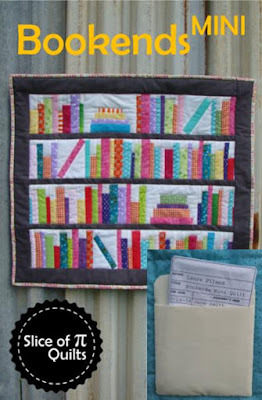 It is made to look like a library pocket and library card! The card is removable just like an actual library card in a book! The quilt finishes approximately 24" x 28". The pattern has directions for making the mini quilt as well as how to make the library pocket and card label!